It’s only Monday and it’s already been (and is gonna be!) an epic week! Yesterday was a powerful day at our church and for our family! Our lead pastor shared a message challenging the men to rise up and be the kind of men God longed and designed them to be. He invited them to give their lives to Christ and be baptized right then an there (not a normal protocol for our church). 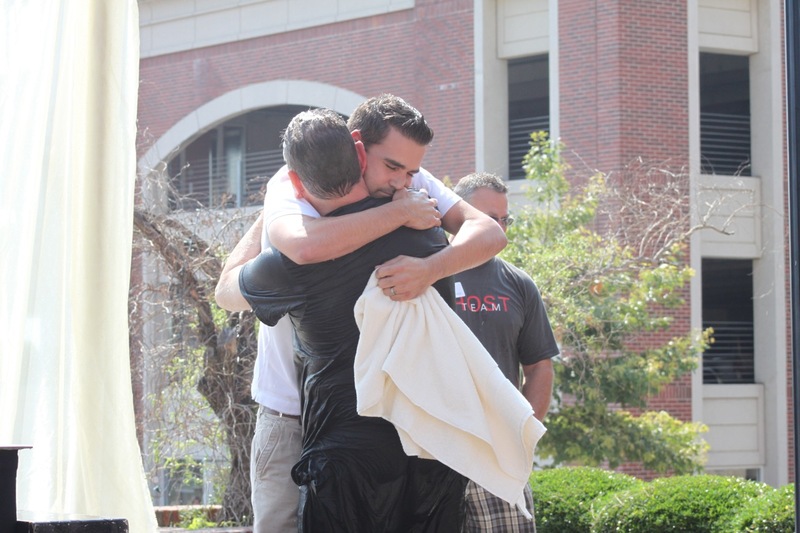 In all, 32 men came forward and were baptized! A-M-A-Z-I-N-G! 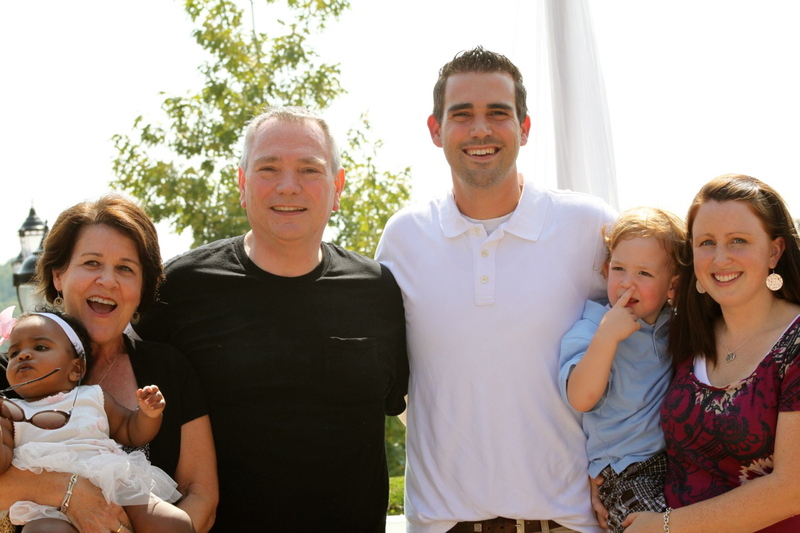 Bryson’s dad was among those men and Bryson had the honor of baptizing him! It was beautiful! Nash and Evyn got to see their Pop Pop make that amazing decision and see their dad be a part of that powerful moment. It was a Sunday we will not soon forget!! There is a lot to celebrate this week! Bryson and I will celebrate 8 years of marriage tomorrow (wow!!! ), then on Wednesday we will celebrate Evyn’s (and Pop Pop’s) Birthday!! Is my baby girl really already ONE!? An epic week indeed!! Stay tuned for pictures. Oh Emily … what a week indeed. I am thrilled that I will get to meet your FIL in Heaven!